Phase II of Liverpool Science Park occupies a sensitive site on Brownlow Hill, sitting directly adjacent to Liverpool Metropolitan Cathedral and Liverpool JMU’s new Design Academy. 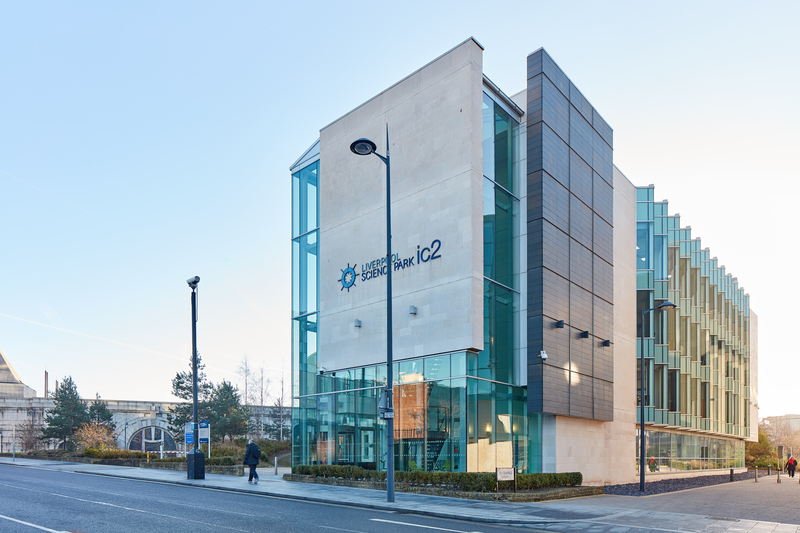 Innovations Centre 2 provides a four storey grade-A office building with 3600 sq m of high quality, flexible office accommodation. The building is clad in natural stone with extensive glazing maximising views to the cathedral grounds. The scheme also integrates with its surroundings through carefully designed landscaping, which improves the public realm.